VIBGYOR High Model United Nations (VHMUN) an initiative to empower students commenced its 7th edition in Mumbai starting on 30 June. VHMUN exposes students to an educational simulation in which they learn about diplomacy, international relations, and the United Nations. The theme of the event this year is 'Climate Change' and the event is witnessing an enthusiastic participation from around 500 students from VIBGYOR and other Schools across the country. 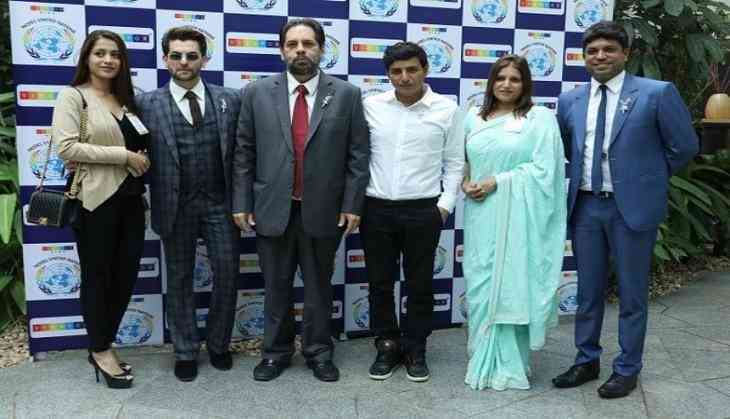 Renowned advocate Afroz Shah, the man who has been involved with the Versova beach clean-up drive and Padmashri Ajeet Bajaj, who has undertaken expeditions to North and South Pole are the key speakers at the event. The Special Guest, Actor Neil Nitin Mukesh graced the inauguration ceremony with his presence. VHMUN is a simulation of the United Nations in which students participate as delegates of various UN Committees. The purpose of the MUN is to provide an interactive experience with a view of educating participants about world issues and promoting peace and the work of the United Nations through cooperation and diplomacy. Overwhelmed with the response for VHMUN, Mr. Rustom Kerawalla, Chairman and Managing Director of VIBGYOR Group of Schools said, "Education for us is what the child learns through his/her own experiences. It is our responsibility to provide them with the right opportunities. Over the years, VHMUN has become a distinctive forum for students to voice their opinions. Moreover, it has served as a platform for them to meet, debate, deliberate, consult and discuss issues pertaining to international relations in a diplomatic way. Activities like these help the students to tap their inherent potential and build confidence which prepares them for real life challenges."
. Sustainable Development Goals for Climate Change.
. Combating Illegal Trade in Wildlife.
. Implications of Foreign Military Bases.
. Human Rights Violations by Philippines in light of their Campaign against Drug Use and Abuse.
. Standards of Intervention with Special Reference to the Indo Pak border Conflict.
. Humanitarian Situation in the Region of Balochistan.